Home Maid Clean exceeds beyond being a regular cleaning service— it is your professional partner in property cleaning. 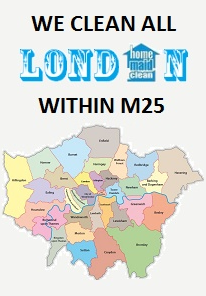 A London-based cleaning solution service to resolve your residential and commercial cleaning requirements. 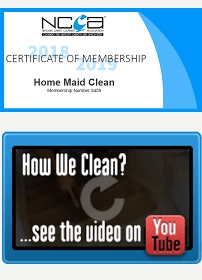 Established nearly a decade ago, Home Maid Clean is a traditional family-run business that has been successfully catering to clients around the capital. Right from the time of setting up Home Maid Clean had a vision— to be a company that is driven by a team of people who care for the business, their clients and the people they work with. Our commitment and dedication therefore mirrors in the services that we offer—affordable and cost-effective, with zero compromises on the service we deliver. Through the years that have gone by, we have learned to listen better, and adapt to the changing nature of the industry. What remains at the core of our business, unperturbed, is our philosophy, to be more than just a cleaning company— to be your partners in comfortable living. We remain confident about the competence of our teams’ expertise. It is hence only a matter of pride that we deliver a service that provides our clients a 100% satisfaction. If at any step, our customers feel that there is more they expected from our service, we are happy to service a free re-clean—because cleaning is more than business for us, it is our passion to service comfortable living. We take extensive measures to maintain a staff portfolio that is fully trained, insured and vetted. Our Employers Liability cover offers a pay-out of £ 10,000,000 and a Public Liability cover of £ 1,000,000. Feedback from our clients is perhaps the best way for us to evolve as a business. We remain absolutely excited about listening to each of your personal responses and to keep revising our styles of cleaning and offer advanced cleaning standards and delivery performances. Explore and browse through Home Maid Clean website to know more about the array of offerings that are easily accessible for all property types. Our team thrives on those cleaning professionals who re-define cleaning not simply by their talent, but also by their passion for the service. Get in touch to explore current openings or fill in our online Application form. I thoroughly recommend Home Maid Clean. They are always available at a short notice, turn up at the promised time and go an excellent job to a great standard. Their prices are also very competitive. I never realized how dirty my sofa was until Home Maid Clean came to clean it. The difference was significant. Thanx very much! Best sofa clean by far at such an incredible price. Superb service, am about to book again now to clean our new flat. Best cleaning company we’ve used, thanks! Home Maid Clean provides a unique and thorough cleaning. Always arriving in a supervised team of cleaners to ensure the home is left spotless. I am very happy with our maid from Home Maid Clean. Daisy is terrific! She is hardworking, professional and very thorough and attentive to details.